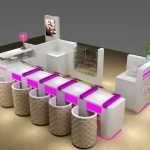 Luxury nail bar kiosk, high-end nail bar kiosk, fashionable nail bar kiosk. Hi, dear friends, how is every thing going? 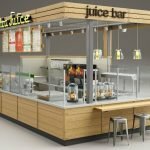 are you need a nail bar kiosk? 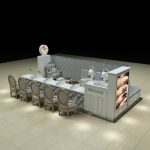 if you need, I want to introduce you a high-end nail bar kiosk, hope you will love it. First, let us see its some images. 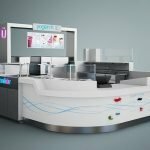 The nail bar kiosk has four nail salons, two beautiful feet, and a rest area, what’s more, the rest area has five stool to let customers to rest. the nail kiosk’s color is black, white and purple, of course, if you want to other colors, we also can custom-made it for you. The nail kiosk has exquisite workmanship, perfect layout, all right specification, durable material, most of all, we can according to your favourite color, the size you want, the logo you want to make the nail bar kiosk.besides, many customers in Australia have bought it. Then let us see more images of our nail bar kiosk. Size: 6m by 3m and we can custom-made it according to your need. we will make a design according to your need, if you have any question of our design, we will correct it, and begin to make new, if you still have question of it, we will correct it until you satisfied it. One,we are direct manufacturer. We offer the cheaper price than the trading company. 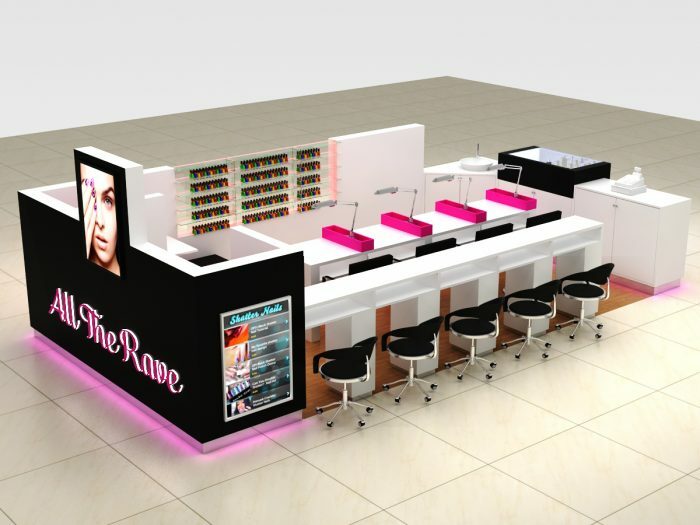 3, you should to do to get our nail bar kiosk. 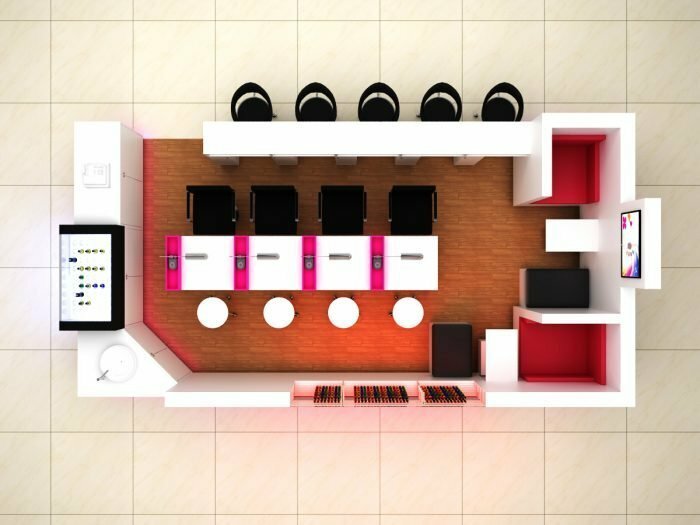 Step one, if you want to buy our nail bar kiosk, you should contact us, and tell us which nail kiosk do you want, the color you want, the size you want, the style you want, the logo you want, we will according to your need to custom-made a design. 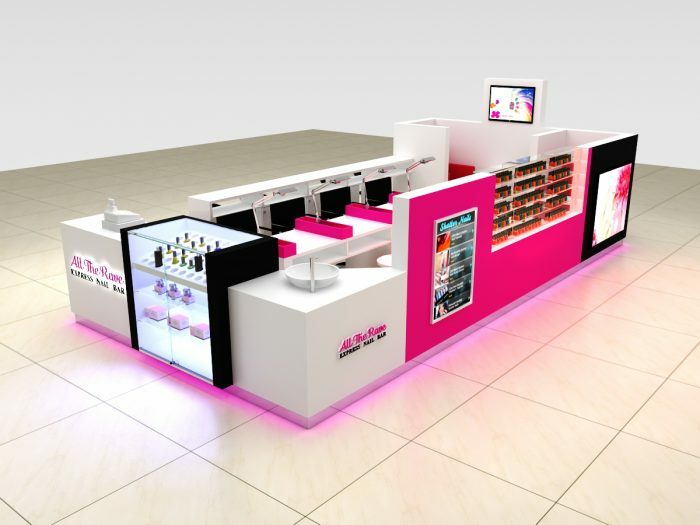 Step two, if you have no problem with our nail bar kiosk, we will begin to make it, if you have any question adout our nail bar kiosk, we will correct the design till you satisfied it, then we will begin to make it. 4, our service of our nail bar kiosk. 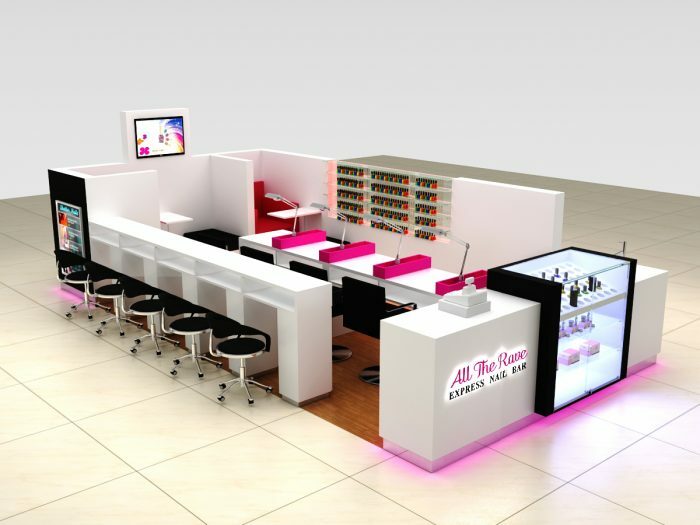 two, we will give you good product, we won’t lie to you, we also will solve your problems of our nail bar kiosk. at last, welcome your inquiry, at the same time, thanks for your browsing, if you want to know more information, please contact us, we are looking forward to your inquiry.